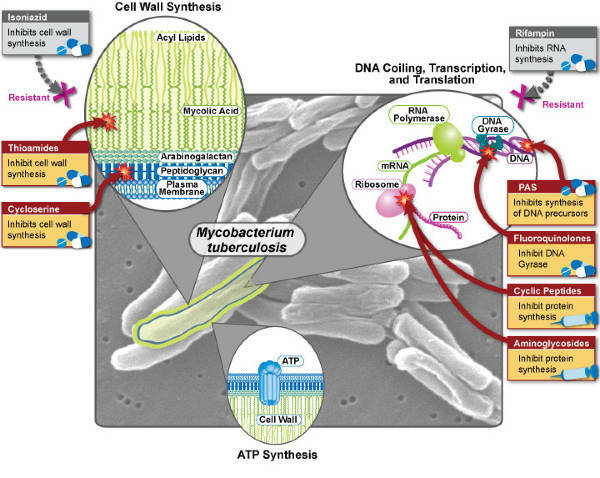 MDR TB occurs when a Mycobacterium tuberculosis strain is resistant to two of the most powerful first-line drugs. To cure MDR TB, healthcare providers must turn to a combination of second-line drugs, several of which are shown here. Second-line drugs may have more side effects, the treatment may last much longer, and the cost may be up to 100 times more than first-line therapy.